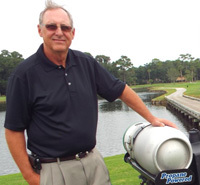 Propane-powered equipment has been in the news in the golf course management industry for some time now. In the fall of 2014, eight U.S. golf courses were selected to participate in an inaugural research program with the Propane Education & Research Council. Beginning in early 2015, the equipment was rolled out to the courses over several months. Each course received four pieces of R&R Products propane-powered equipment as part of an intensive one-year case study; R&R Products is the first to manufacture and commercialize propane-powered turf equipment for the golf industry. 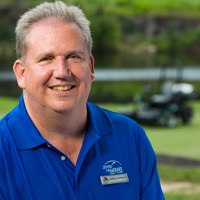 In this 60-minute webinar from our equipment manager series, Jim Coker from R&R and Anthony Williams, CGCS, formerly with Stone Mountain Golf Club, one of the research locations, talk about the positive impact the use of the equipment has shown. James Coker, director of propane applications at R&R Products, attended the Haslam College of Business at the University of Tennessee. He has worked with propane-powered equipment since 2004, when he helped introduce the first patented commercial propane mower. He is a member of New Jersey Clean Cities Coalition and Sacramento Regional Clean Cities and is passionate about the environment. Anthony L. Williams, CGCS, holds a degree in horticulture from Abraham Baldwin Agricultural. Williams’s activities include serving as a past president of the Georgia GCSA, and as inaugural president of the Georgia branch of the Professional Grounds Management Society. He was named Superintendent of the Year by the Georgia GCSA in 2014. GCSAA has recognized him with our 2014 Excellence in Government Relations Award and in 2010, the President’s Award for Environmental Stewardship, our highest environment honor. Williams was selected as the 2011 Environmental Communicator of the Year by the Turf and Ornamental Communicators Association.